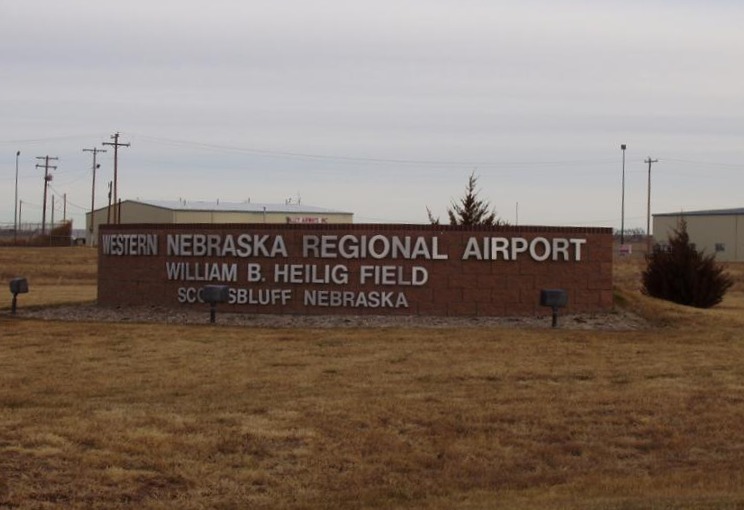 This sign is located inside the airport terminal building. 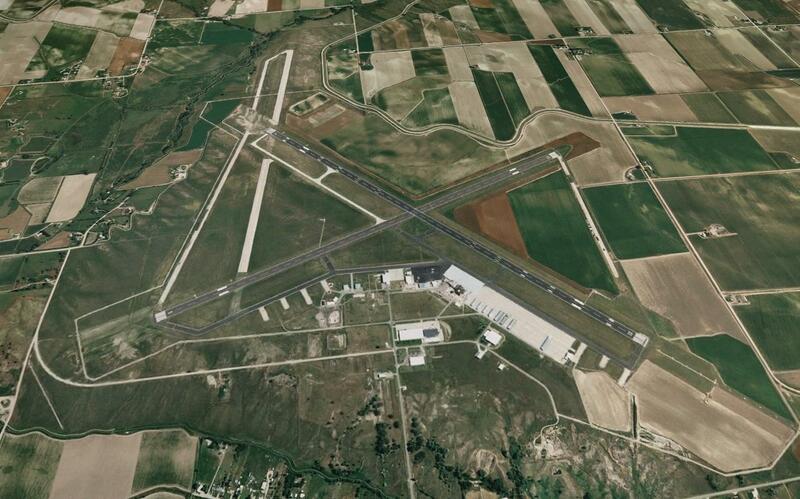 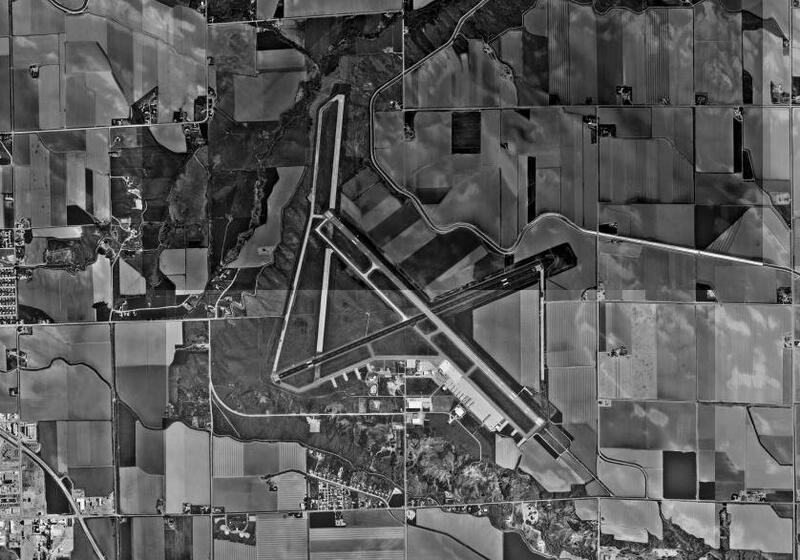 Modern aerial image of the Scottsbluff Army Air Field. 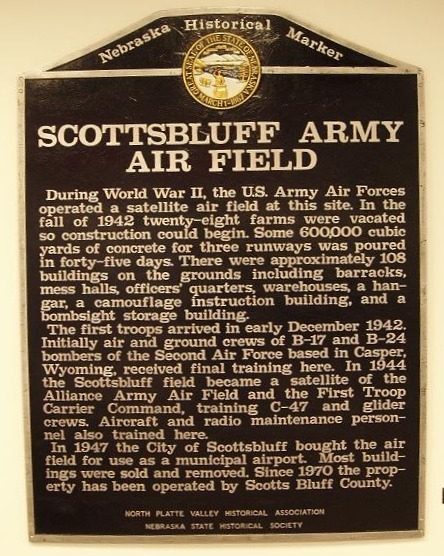 Very few, if any, remaining WWII-era buildings still exist at the former Scottsbluff Army Air Field. 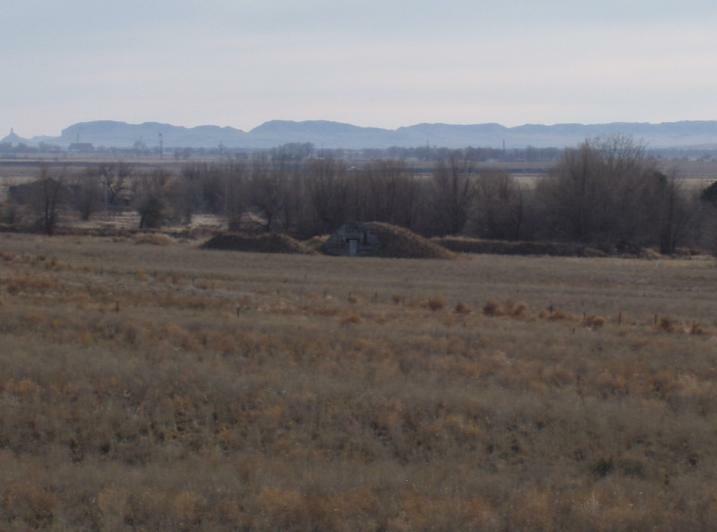 One possible WWII-era building that still exists is what appears to be an ammunition storage bunker. 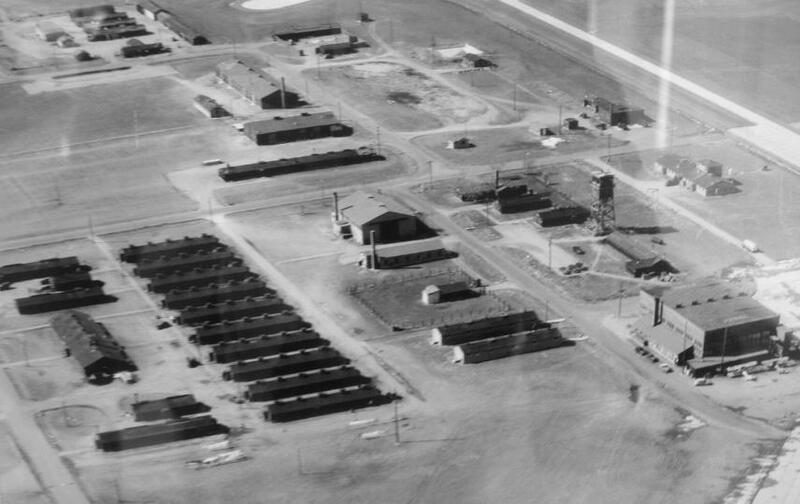 Inside the terminal building is a nice display of WWII-era photos that depict the former Scottsbluff AAF as it once looked.